The US territory of Puerto Rico is currently experiencing its most severe and pro­longed economic downturn since the Great Depression (1929–33). Between 2006 and 2016, the island’s economy (measured as Gross National Product in constant 1954 prices) shrank by 15.2%, while total employment fell by 28.6%. The elimination of federal tax exemptions under Section 936 of the Internal Revenue Code in 2006 dealt a serious blow to the island’s manufacturing industry. The closing down of many facto­ries had a negative ripple effect on the Puerto Rican economy, including banking, construction, and public administration. Puerto Rico’s sustained economic deterioration since 2006 has been associated with a spiraling cycle of public debt. The Commonwealth (or Estado Libre Asociado, in Spanish) accumulated fiscal deficits as it continued to borrow money by issuing municipal bonds to pay public em­ployees and maintain public services. Instead of restructuring its economy after the demise of Section 936, the insular gov­ernment more than doubled its debt from $17.6 billion in 1996 to almost $40 billion in 2006. The debt nearly doubled again to $74 billion in 2016. Much of the island’s debt stems from public corporations such as the electrical power authority, the government development bank, the transportation authority, and the water and sewage authority. Since 2006, the Commonwealth gov­ernment has taken austerity measures to reduce public spend­ing and increase state revenues—such as laying off thirty thousand public employees in 2009 and cutting back state con­tributions to public pension systems. But such measures have been insufficient to straighten the island’s finances. On 28 June 2015, then-Governor Alejandro García Padilla declared that “the debt is not payable.” Because Puerto Rico is not a state of the American union, it does not qualify for federal bankruptcy; because it is not a sovereign country, it cannot apply for emergency financial assistance from mul­tilateral organizations such as the International Monetary Fund. In May 2016, the Commonwealth government de­clared a fiscal state of emergency and a moratorium on its public debt obligations. In July 2016, the Commonwealth government defaulted on nearly one billion dollars in debt. Puerto Rico adopted a bankrupt-like status in May 2017, under special legislation approved by the US Congress. A federal judge, appointed by the US Chief Justice, will now oversee efforts to restructure Puerto Rico’s debt. El Capitolio de Puerto Rico by Brad Clinesmith. CC BY-SA 2.0 via Wikimedia Commons. The island’s population, which had been growing at least since the late 1700s, began to fall in 2004. For the first time in its modern history, the inhabitants of Puerto Rico decreased by 2.2% (82,821 persons)—from 3.808 million in 2000 to 3.725 million in 2010. The population further declined by 8.4% (314,850 persons) to 3.411 million between 2010 and 2016. This remarkable population loss can be attributed to three main demographic factors, linked to the island’s linger­ing economic crisis. First, net migration from Puerto Rico to the United States reached 311,198 persons during the first decade of the twenty-first century and 360,143 only between 2010 and 2016. Second, Puerto Rico experienced declining fertility rates—from 15.6 live births per 1,000 persons in 2000 to 9.1 live births per 1,000 persons in 2016. Finally, decreasing numbers of return migrants and foreign immigrants, especially from the Dominican Republic, have slowed down population growth. The current migration wave from Puerto Rico (approximately 313,000 between 2010 and 2015) has surpassed the peak years of the “Great Migration” (nearly 288,000 be­tween 1950 and 1955) in net numbers. In 2015, the total number of people moving from Puerto Rico to the United States reached a record high—approximately 89,000, per census estimates. In recent years, the Commonwealth’s autonomy vis-à-vis the US federal government has increas­ingly faltered. The US Supreme Court has reiterated that ultimate power over Puerto Rico resides in the US Congress. In June 2016, the court further eroded the Commonwealth’s legal claims to autonomy. First, in Puerto Rico v. Sánchez Valle, the US Supreme Court ruled that two men accused of selling firearms in fed­eral courts could not be tried for the same crime in Puerto Rican courts. Second, in Puerto Rico v. Franklin Cal. 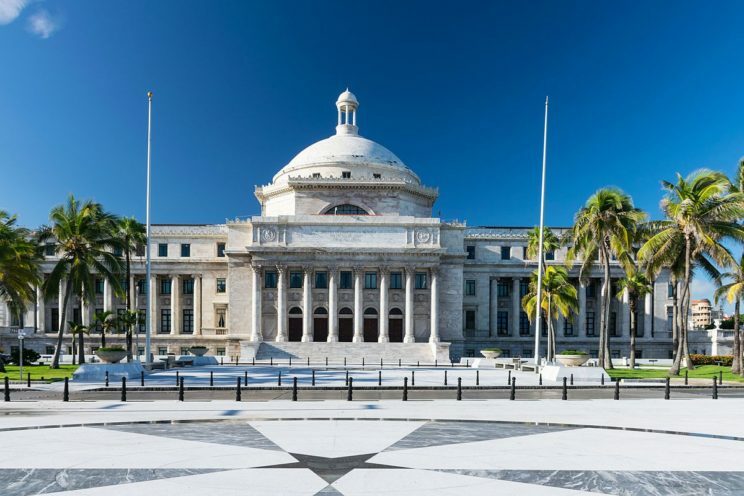 Tax Free Trust, the court upheld the lower courts’ decision that Puerto Rico could not enact its own bankruptcy law to restruc­ture the debt of its public utilities. Hence, the island’s colonial relationship to the United States has come under increasing scrutiny, especially in the context of Puerto Rico’s continuing financial distress. In June 2016, the US Congress passed a bill, called PROMESA (Puerto Rico Oversight, Management, and Economic Act), to address Puerto Rico’s public debt. President Barack Obama quickly signed the bill into law, asserting that this was the only viable option for Puerto Rico. However, the legislation faced strong opposition in Puerto Rico, particularly from labor unions, pro-independence supporters, and some elected officials. PROMESA placed the island’s fiscal affairs under direct federal control to restructure its debt. In August 2016, President Obama appointed a seven-member oversight board from a list of candidates nominated by Congress, including four Puerto Ricans (two Republicans and two Democrats). This board is strangely reminiscent of the Executive Council, which ruled the island between 1900 and 1917 with little input from Puerto Rican elected officials. In any case, PROMESA has undermined one of the pillars of Commonwealth status: fiscal autonomy from the federal government. It may well mean the death sentence of the Estado Libre Asociado as a feasible political status for Puerto Rico. Featured image credit: “Puerto Rico” by Lenaeriksson. CC0 Public Domain via Pixabay. Jorge Duany is the Director of the Cuban Research Institute and Professor of Anthropology at Florida International University. He has published extensively on migration, ethnicity, race, nationalism, and transnationalism in the Hispanic Caribbean and the United States. He is the author, coauthor, or editor of 20 books, including several works about Puerto Rico. 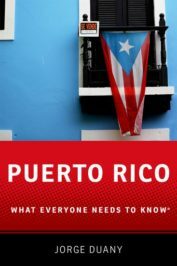 Most recently, he authored Puerto Rico: What Everyone Needs to Know®.